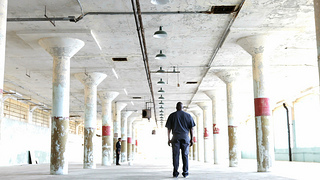 Well Contested Sites is a 13 min non-narrative, movement-based film that looks at the issue of incarceration and evokes of the layers of experience faced by those who are incarcerated. The film is a collaboration between a group of men who were previously incarcerated, performing artists from the Bay Area, choreographer Amie Dowling and film maker Austin Forbord. It was developed and filmed on Alcatraz Island. Well Contested Sites is working with Teachers 4 Social Justice to distribute the curriculum in High School and University classrooms. Click here for a copy of the curriculum guide.